While Melbourne Cup stopped the nation this week, in real estate we are currently running a race of our own. Many buyers are feeling the race is on for them to find and secure a property before Christmas. We find at this point in the year many buyers are getting tired of missing out and desperate to find a property so they can be organised and start the new year in a new home. While for those thinking of selling, some people feel like it may be cutting it fine to put their home on the market right now, with Christmas party distractions, and the festive season creeping in earlier and earlier each year, I can see how it may feel like that... However, our statistics actually prove the opposite. We are finding each week the number of buyers subscribing to hear about our properties are increasing - last weekend our buyer bank grew again by 60 people and the trend is following through to inspections. With buyer demand still very strong, and with the urgency to purchase increasing daily, an Auction campaign is a great way to leverage this momentum and achieve a premium price. 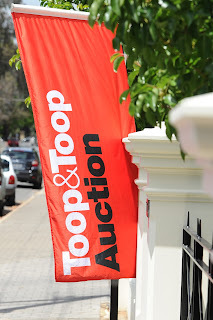 Over the last two weeks we have sold 22 properties at or before auction which have achieved very strong results. Auctions can be unpredictable and emotionally charged, but we have found these often produce our best results and often exceed client expectations. We are blessed to have some of the best property auctioneers in the state, including the South Australian Auctioneer Championship Winner, Bronte Manuel. If you are wanting to sell before Christmas and leverage these market conditions, there is still time! Having our own full in-house marketing and advertising department allows us the flexibility and speed to achieve this. If you call one of our sales team over the next week, we will be able to deliver and run a solid Auction campaign this side of Christmas and capture the attention of the current strong market.